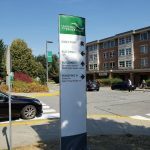 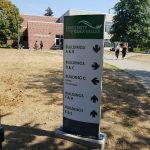 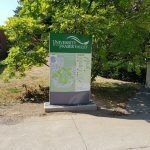 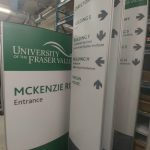 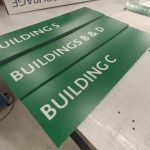 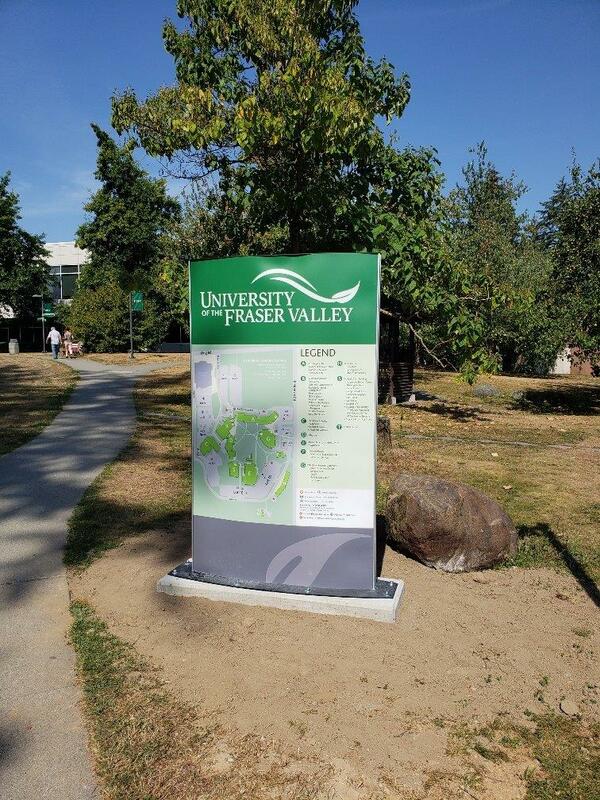 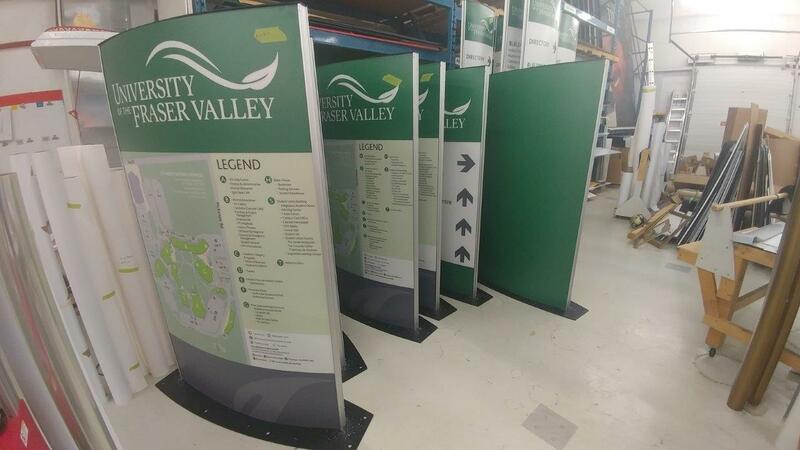 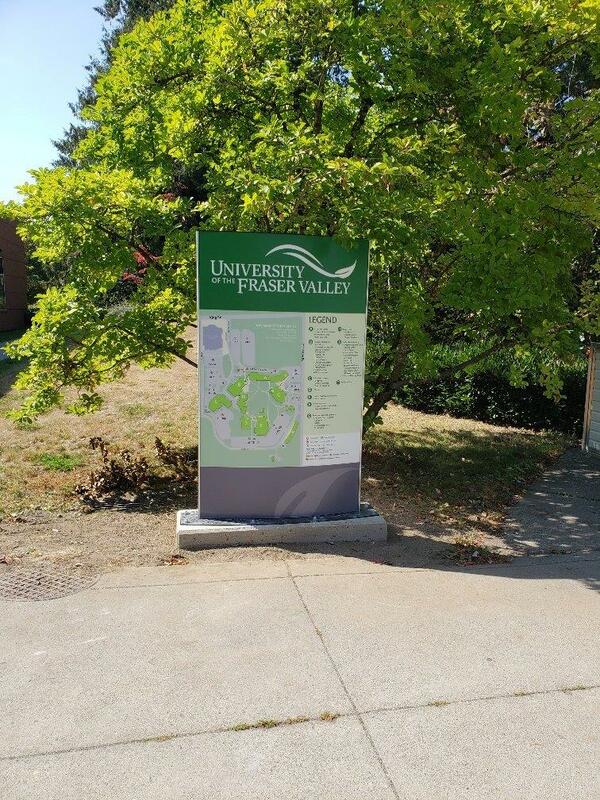 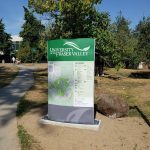 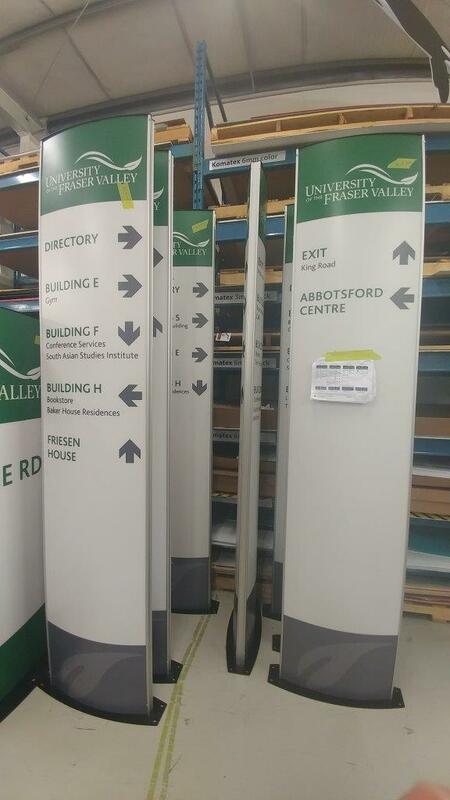 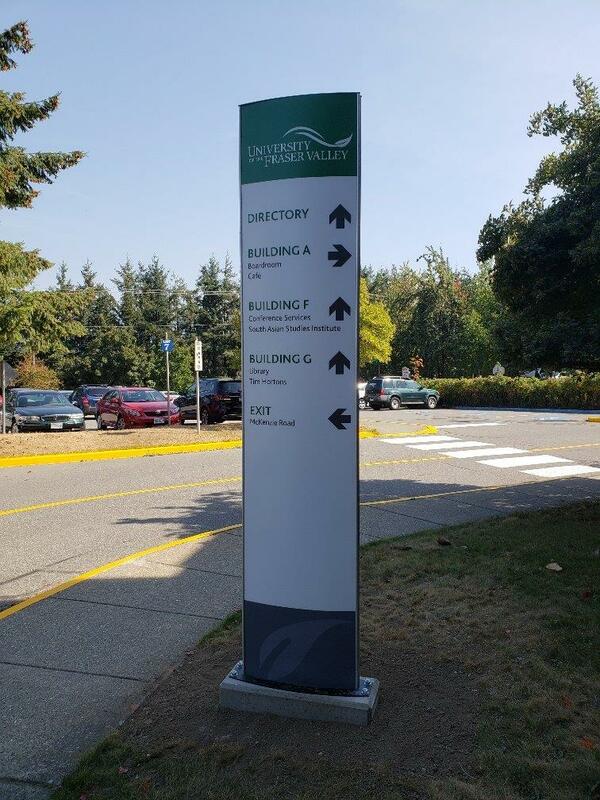 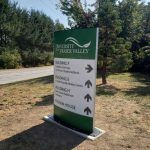 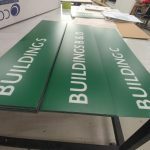 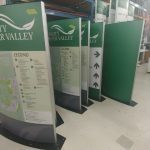 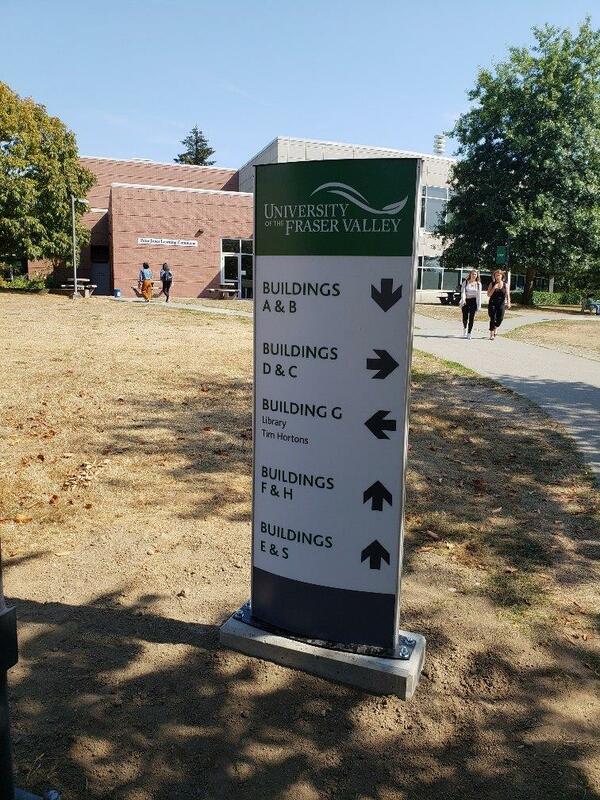 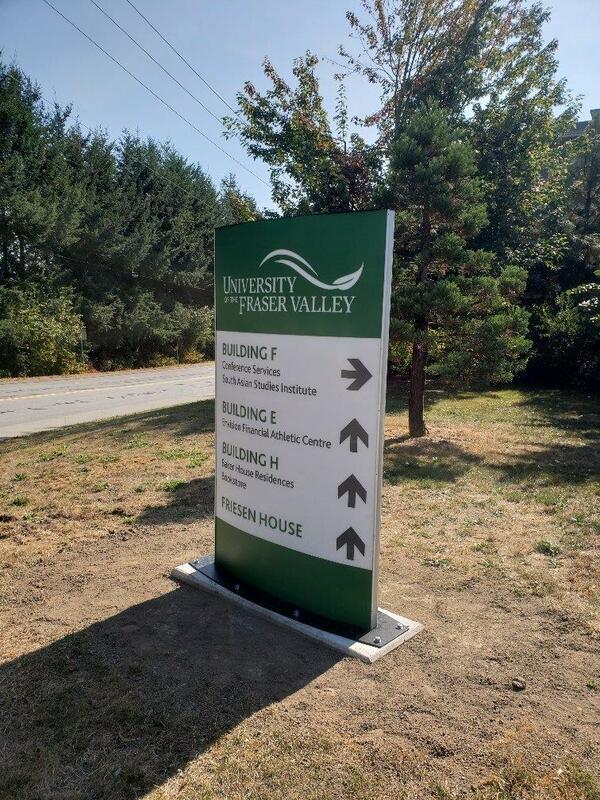 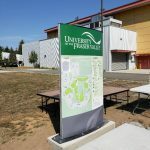 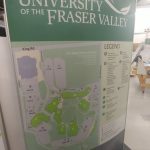 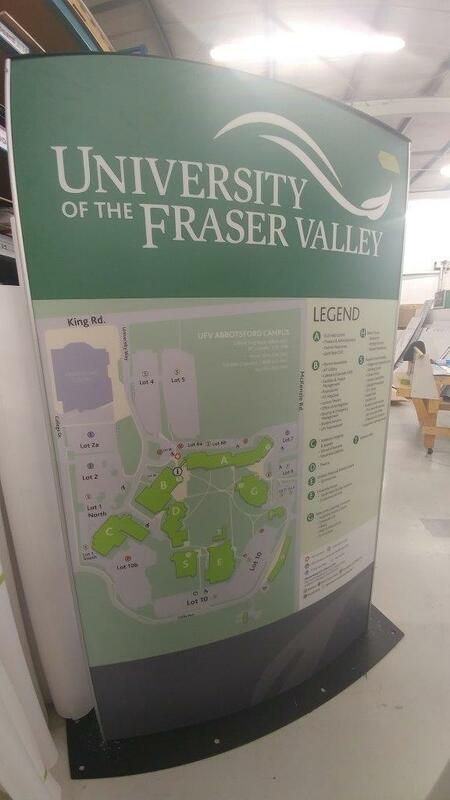 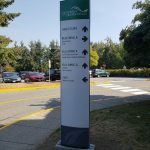 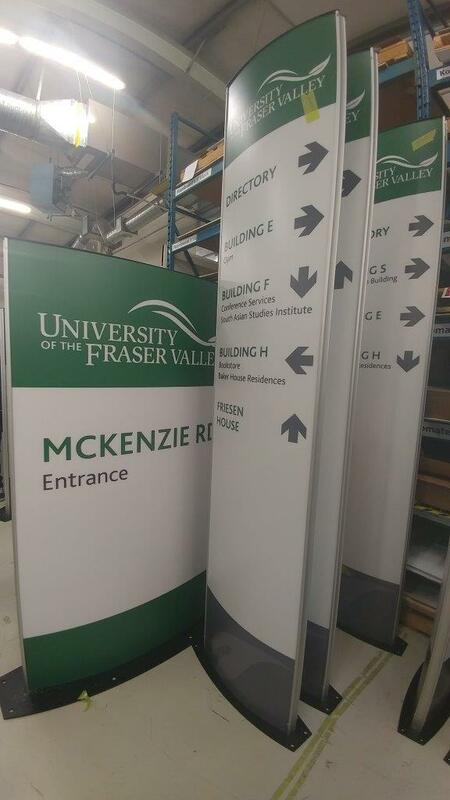 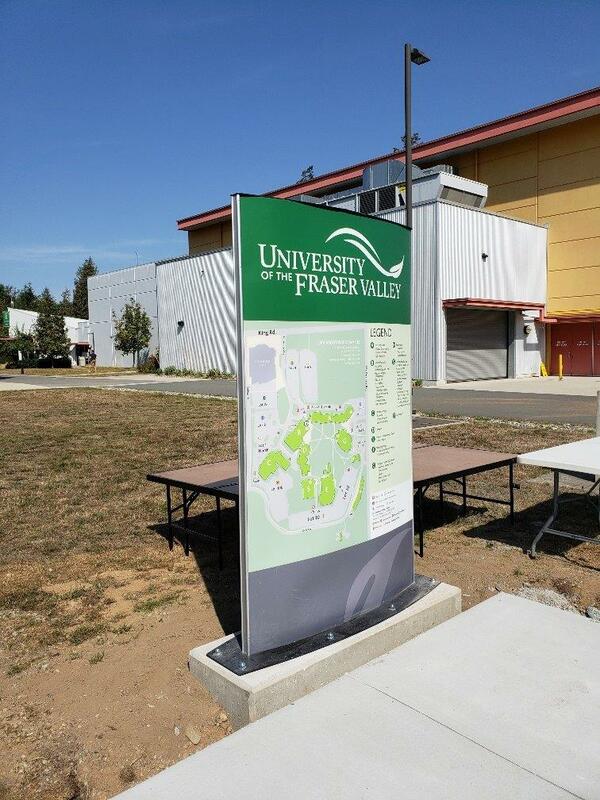 Multigraphics was recently requested to help print and install Identification and Directional signage for UFV at their Abbotsford campus. 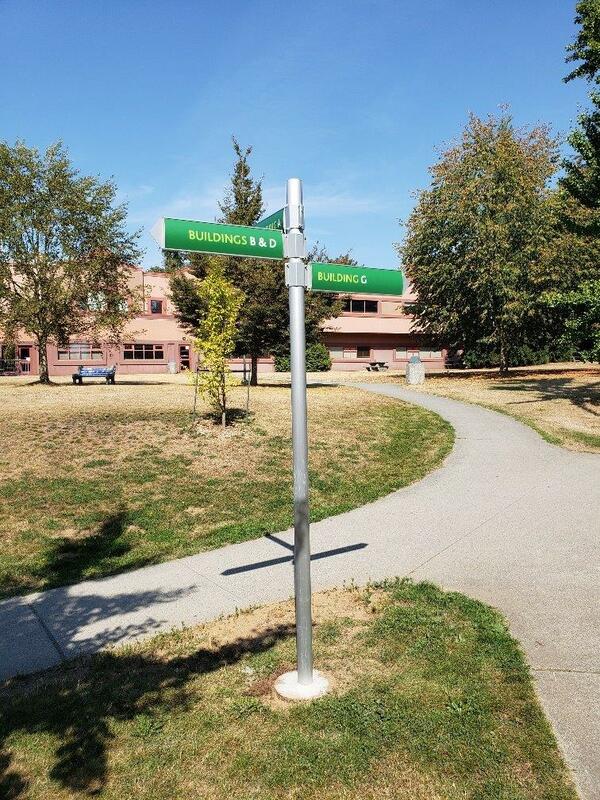 This is one of those projects where a picture speaks a thousand words. 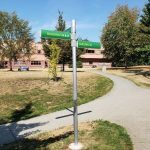 The need was straight-forward, the solution, however, slightly challenging. 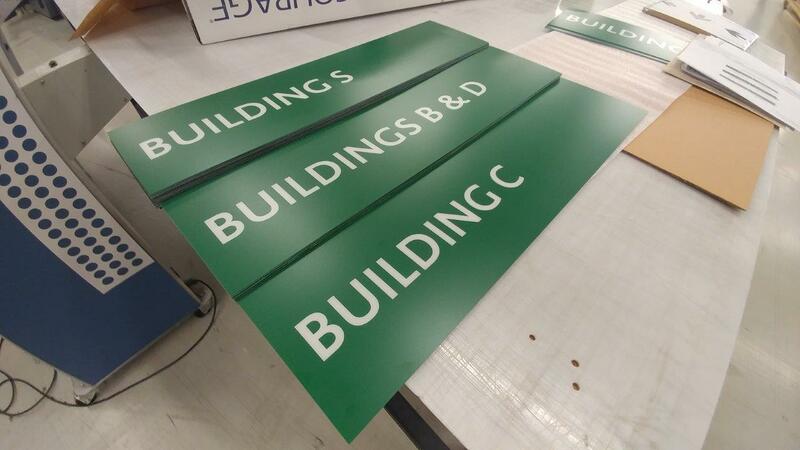 The double sided aluminum sign holder extrusions had to be ordered in from the States, while the prints were done and assembled in-house. 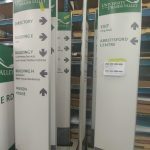 Since all the wayfinding signs were outdoor, factors such as wind, rain, snow, and other elements that could damage the sign had to be accounted for as well. 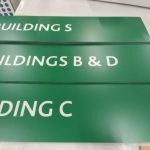 Despite the freight and installation challenges, it was rewarding to see the hard work of our team come to fruition and the client being very happy with the end result. 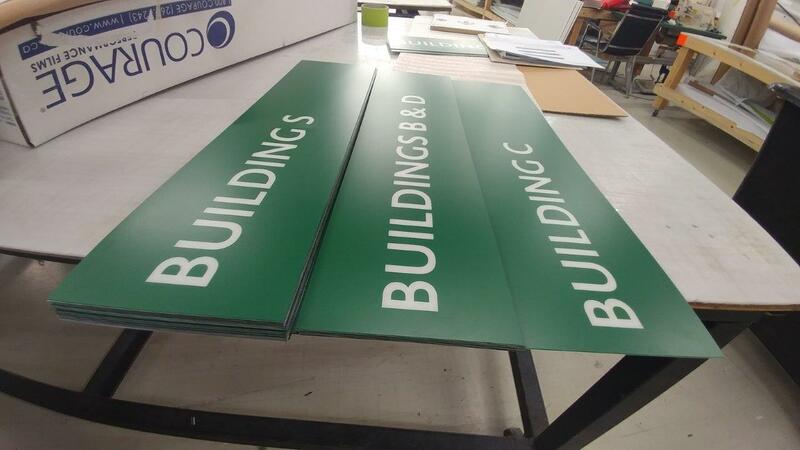 All signs were printed on 3M permanent self adhesive vinyl applied onto a 1 mm Poly-carbonated film which was then inserted into the frames. 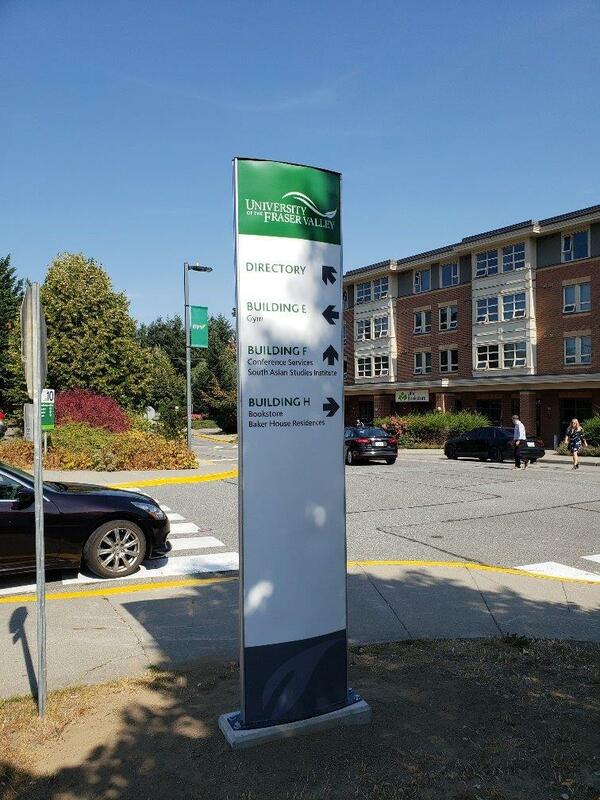 LIKE ANYTHING YOU SEE ABOVE? 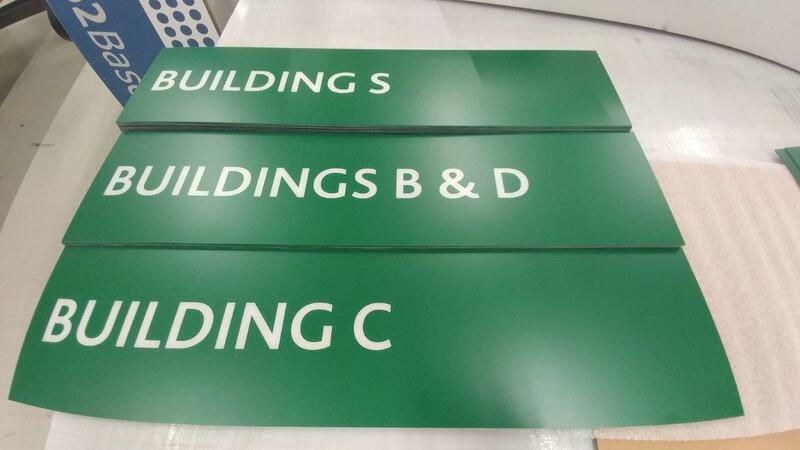 Visit our Wayfinding Signage page for more info or ask us directly on how we can help you with your graphical needs.